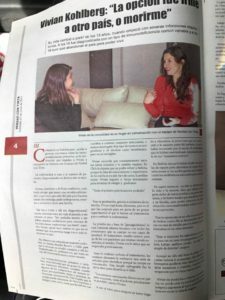 Primary immunodeficiencies (PID) received attention from a Bolivarian newspaper last month and the local patient group FIDEP is hopping this will help increase awareness about PID at Governmental level. 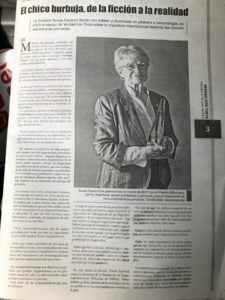 Ms Vivian Kohlberg, President of FIDEP (Fundacion Inmunodeficiencias Primarias Bolivia), was interviewed on June 7 by two independent journalists working for an investigation newspaper called Verdade con Tinta (Truth with Ink, free translation). 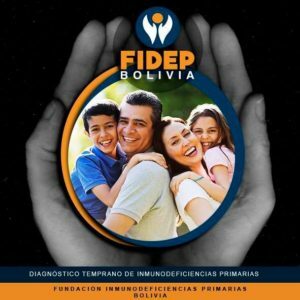 The report has already been published and FIDEP hopes it will help shed new light on Rare Diseases, and on PIDs in particular, in Bolivia. The piece looked into the situation of PID patients in the country, through Ms Kohlberg’s experience, herself a PID patient. Often, patients who are diagnosed with “rare or less frequent” diseases such as PIDs, which are not recognised by the central government, go through an odyssey to access diagnosis and care. On the case of FIDEP’s President, the only solution was to go abroad to get proper medical care. In Bolivia there aren’t enough means of diagnosis or enough healthcare professionals and it is very difficult to have access to replacement therapy (immunoglobulins). Ms Kohlberg had the support of Dr Teresa Español (Spain) and Dr Nelva Guillen (Bolivia) for clinical input.